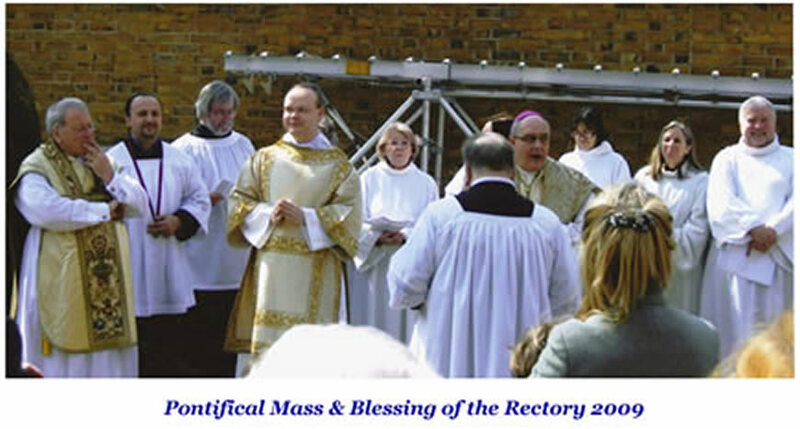 To enable the Congregation to fully follow and participate in the 1130hrs Solemn Mass which is primarily in Latin, we produce a weekly A5 size mass sheet which is distributed to the Congregation before the Mass. The Mass Sheets are produced in Microsoft Publisher form but are also available in Adobe Acrobat .pdf format. To see an example of a Mass Sheet, please click on the Picture below. They are available free to be modified and used by any other Church. We have also prepared and provide Music Sheets for the Congregation to use which vary according to the Liturgical Season but contain the Gloria, Credo, Pater Noster and Marian Antiphon plainchant settings.